After almost expiring from low budget neglect, James Bond comes back to life with a bang: The Spy Who Loved Me is one of the best entries in the series, an engrossing spy thriller with a twinkle in the eye and no shortage of show stopping moments. After escaping an assassination attempt by Soviet agents in the Austrian mountains, Bond (Roger Moore) is assigned to investigate the disappearance of a British Polaris class submarine equipped with nuclear missiles. The initial clues lead to Egypt, where local criminals are hawking submarine tracking technology. Bond meets Anya Amasova (Barbara Bach), otherwise known as Agent Triple X of the KGB. She is on a similar mission for her country, a Soviet submarine having also gone missing. 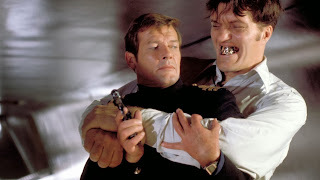 Bond also tangles with a steel-mouthed killer known as Jaws (Richard Kiel). Eventually Bond and Anya team up, the British and Soviet governments agreeing to work together to find out who is stealing their subs and why. The trail leads to Sardinia, and then the off-shore base Atlantis, where the marine-obsessed megalomaniac Karl Stromberg (Curd Jurgens) is plotting the destruction of the world. Stromberg's supertanker Liparus is designed with a bow that opens up and swallows submarines, and Stromberg wants to use the sub's nuclear missiles to trigger a war of annihilation, allowing the oceans to again be the one source of new life. Bond and Anya need to find a way to stop Stromberg, but instead they find themselves his prisoners when an American sub is next to be captured. Easily Moore's best outing as Bond, almost everything in The Spy Who Loved Me clicks together, in a satisfying arrangement not seen since Thunderball. The pre-credit sequence makes the strongest possible statement about the film's intent. The legendary - and insane - ski jump off a sheer cliff boldly announcing that Bond was done with the low budget cheese. This is a movie seeking serious, and stunning, action. Of course, not everything is absolutely perfect with the film. The streets and nightclubs of Egypt are surprisingly sparsely populated, the budget apparently not affording a convincing number of extras, and no explanation is provided as to why Stromberg needed that third submarine. And once Anya teams up with Bond, she does seem to lose most of her edge, becoming too often the exclamatory decoration at the end of his arm. But these are quibbles. The Spy Who Loved Me delivers superlative entertainment. Carly Simon's evocative theme song, Nobody Does It Better, sets the stage by breaking with tradition as the first Bond song to not carry the name of the film, and it plays against one of Maurice Binder's most daring opening silhouette sequences, filled with gun-loaded playful sexiness. The story is coherent, the basic elements borrowed from You Only Live Twice but with the overall narrative dramatically improved. Bond tracks down a succession of middle men in scenic Egypt to identify Stromberg as the villain of the piece, and Curt Jurgens creates a menacing mastermind, refreshingly not looking for any sort of ransom or pay-off. He just wants to reset humanity and start again from where it all began, the depth of the oceans. Meanwhile, Jaws quickly establishes himself as one of the series' most intimidating and lovable henchmen, and director Lewis Gilbert does not hesitate to colour the screen with blood when needed to demonstrate Jaws' ability to kill. Central to the success of The Spy Who Loved Me is Agent Triple X, and for the first time Bond is provided with a partner for an elongated part of his adventure. The competitive rivalry between Bond and Anya, particularly in the early scenes, adds plenty of spice to the film, Bond meeting his opposite number in a sustained encounter of equals. Barbara Bach was never going to win any acting awards, but she looks stunning in what turned out to be the one significant role of her life. 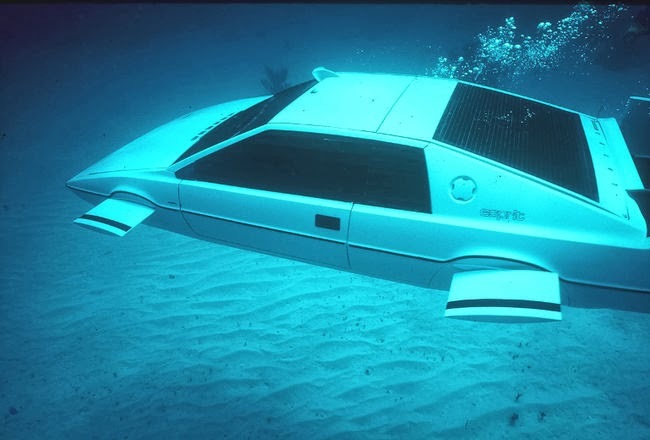 The showcase gadget is the Lotus Esprit, a tricked-out hybrid car / submarine that immediately enters the hall-of-fame of Bond toys. Gilbert also gets the timing of the chase scenes exactly right: short, sharp, and varied. None of the pursuits, whether on land or in the water, outstay their welcome. The Spy Who Loved Me boasts two stunning sets, the inside of the supertanker Liparus, and Stromberg's base at Atlantis. The cavernous Liparus set features room enough for three abducted submarines, and hosts a grand battle for control between Stromberg's men and the submarine crew members led by Bond. Atlantis is the first bulbous, organic-shaped lair in the Bond series, an intimidating mechanical creature ready to dominate a destroyed earth. 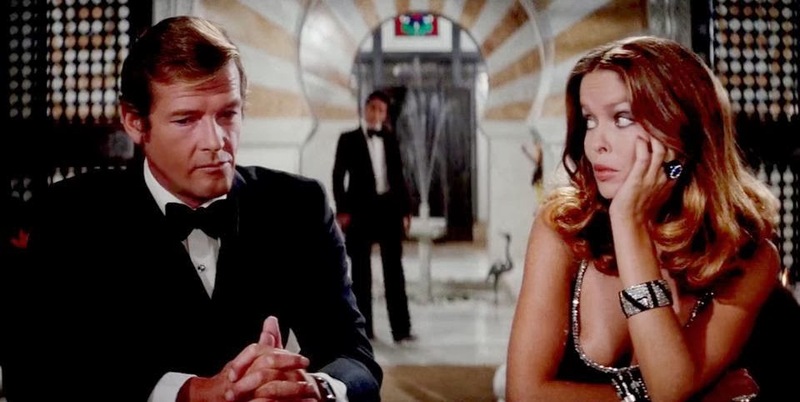 The Spy Who Loved Me marks the revival of filmdom's most famous secret agent, and just as Anya falls in love with Bond, in this form so does the rest of the world.